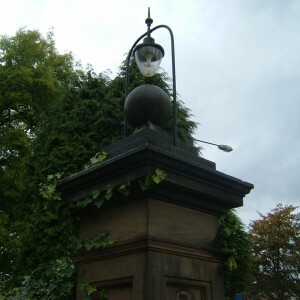 The City of Newcastle upon Tyne and its’ neighbours at Durham, Northumberland, Cumberland and Westmorland were all authorities which were slow to respond to the 1845 Lunacy and County Asylums acts which had obliged them to provide lunatic asylums. Newcastle was the final of the five authorities to comply, finally opening their asylum as late as 1869, 24 years after the act was passed. 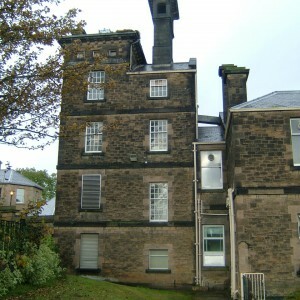 Until the new asylum was opened, Newcastle had utilised a number of private asylums in the Gateshead, Co. Durham area to the south of the River Tyne, primarily at Bensham, but also Dunston Lodge and Wrekenton. 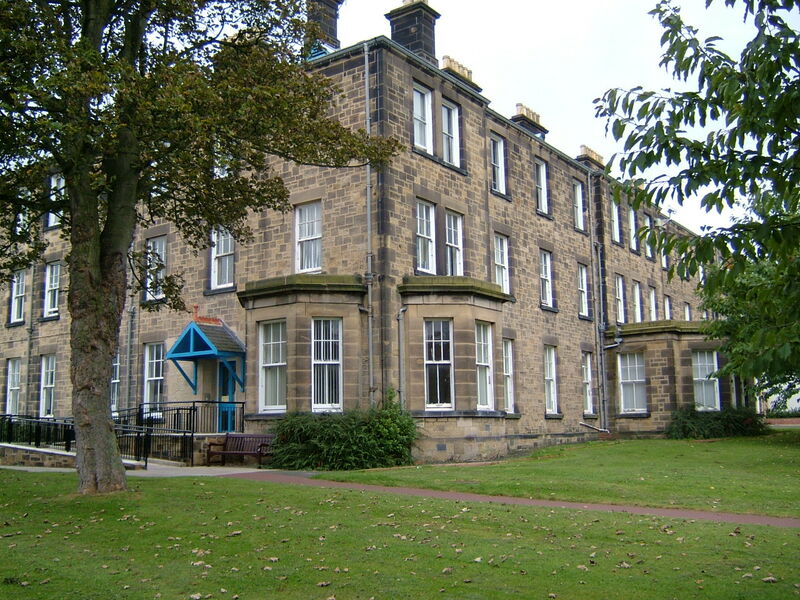 The new asylum site was chosen in 1865, to the north of the river at Coxlodge, close to Gosforth in what was them open countryside. The area purchased was a farmstead known as High Coxlodge, latterly Dodd’s Farm, just south of the hamlet of Coxlodge itself. 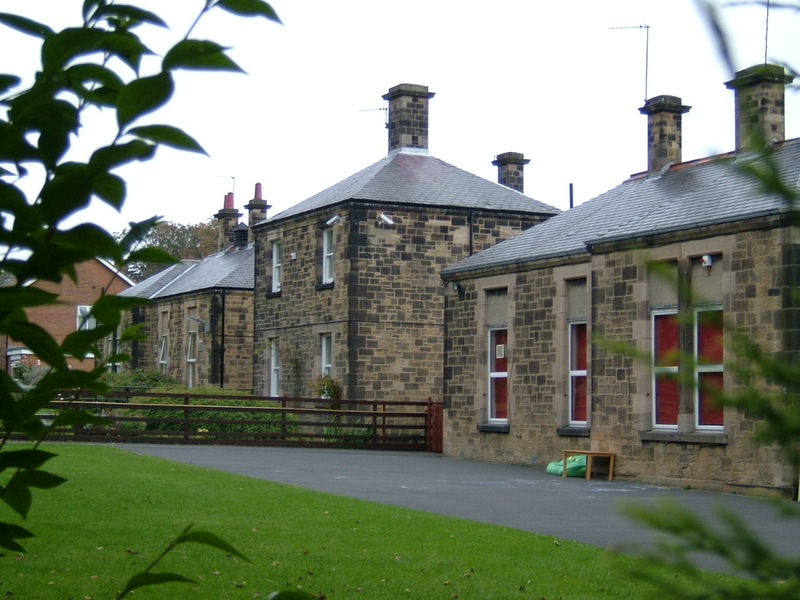 The first inmates arrived even prior to the laying of the foundation stone of the asylum building with 30 chronic males sent from Bensham to help work the land and were accommodated in the farm buildings. 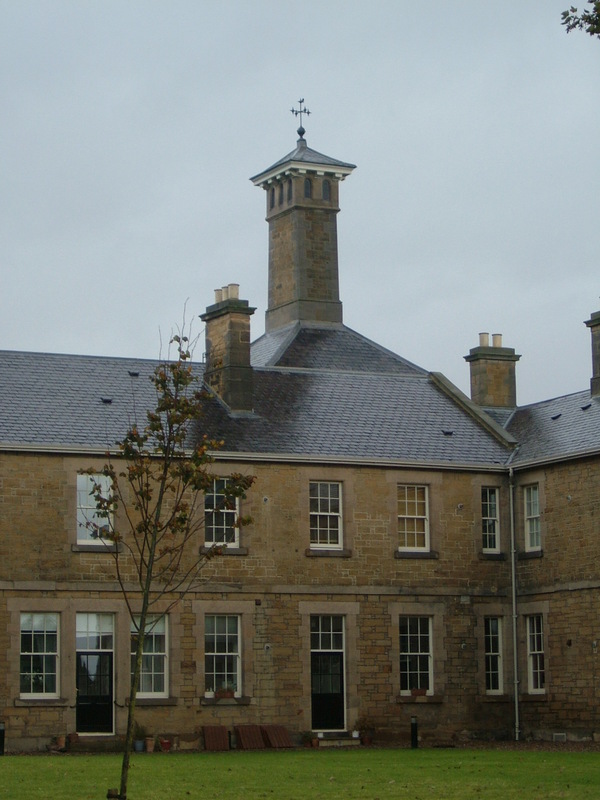 By 1867 building had commenced to the designs of William Lambie Moffat, executed in Ashlar sandstone with grey slate roofing, built predominantly over two stories. 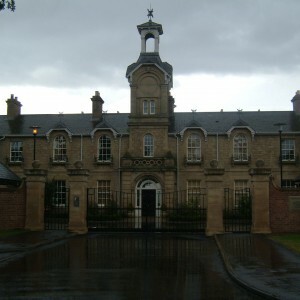 Moffat’s design for Coxlodge asylum was closely related in design to his previous asylum at Burntwood for the County of Staffordshire, to such an extent that the administrative block was almost identical in outward appearance aside of the materials used and the level of decorative touches being marginally leaner at Coxlodge. 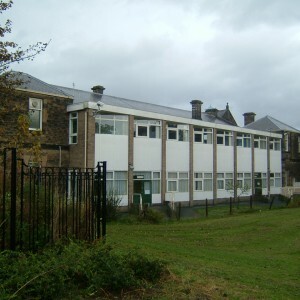 As at Burntwood, the Superintendent resided in a section of the building. 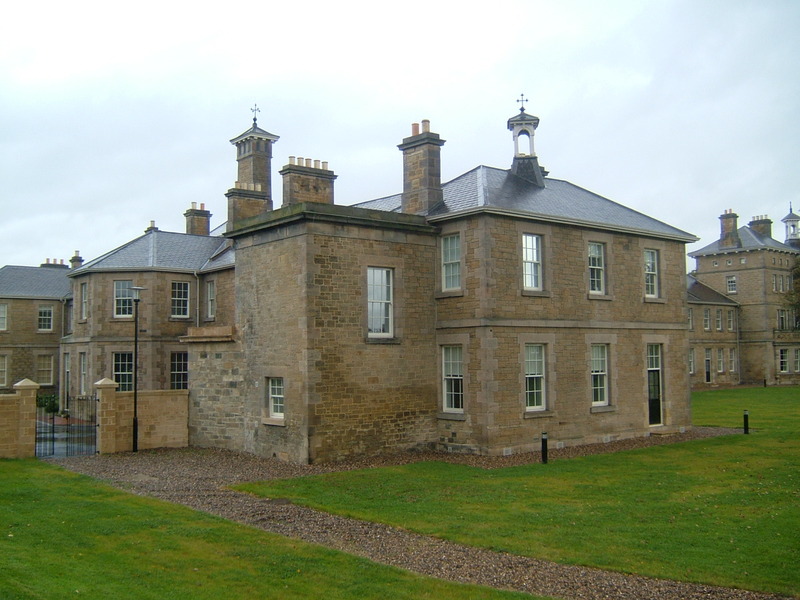 Moffat was a Scottish architect who also designed extensions at the Crichton Royal and Montrose Asylums as well as whole new institutions for Haddington and also Midlothian and Peebles Districts. 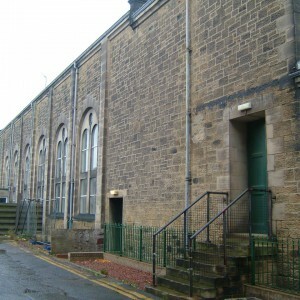 Freestanding on either side of the administrative block stood a boiler house and a laundry block. 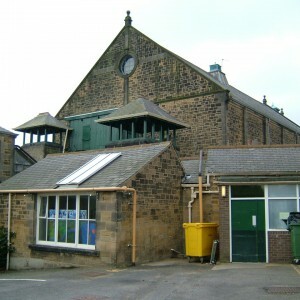 A chapel was site on the first floor of the south frontage with a ding hall below. To the west stood the female wards and with males to the east built to accommodate 250 inmates. 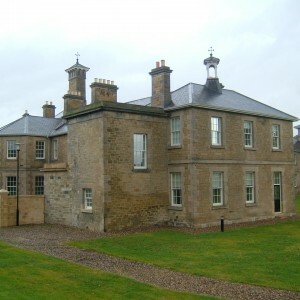 The principal driveway originally approached the asylum from the south, with a gate and lodge onto what is now Salters Road, with a secondary access route for goods onto Kenton Road close to the farm. 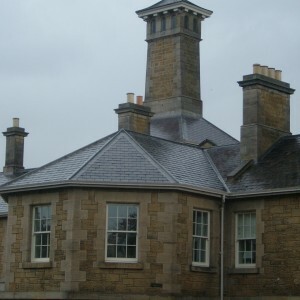 In July 1869, the new asylum was declared ready for use although only partially complete, the remaining wing only being ready in the following year. Inmates were transferred from the local private asylum and also those boarded at the Sedgefield or other county asylums. 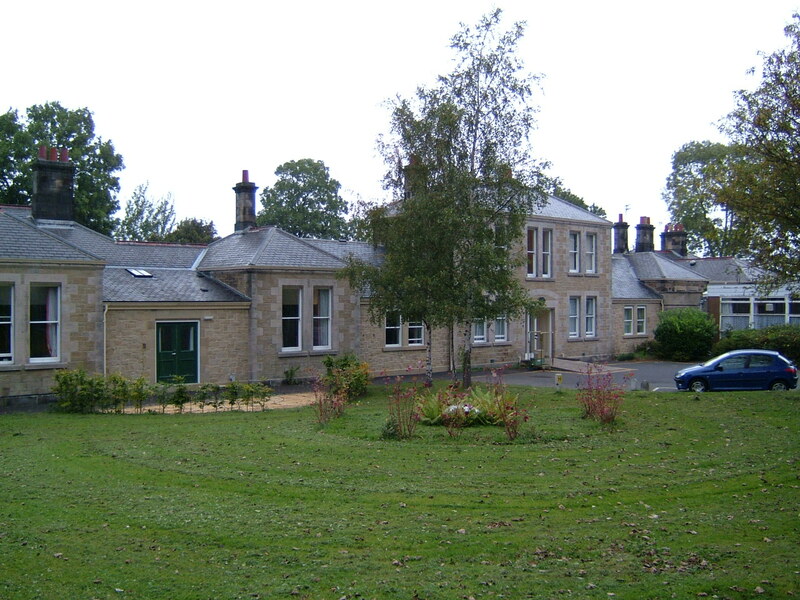 Extensions to the asylum were commenced in 1886 to the design of Architect Alfred Benjamin Plummer, comprising of additions to the kitchen and dining areas as well as 2 pavilion blocks, one to each side. 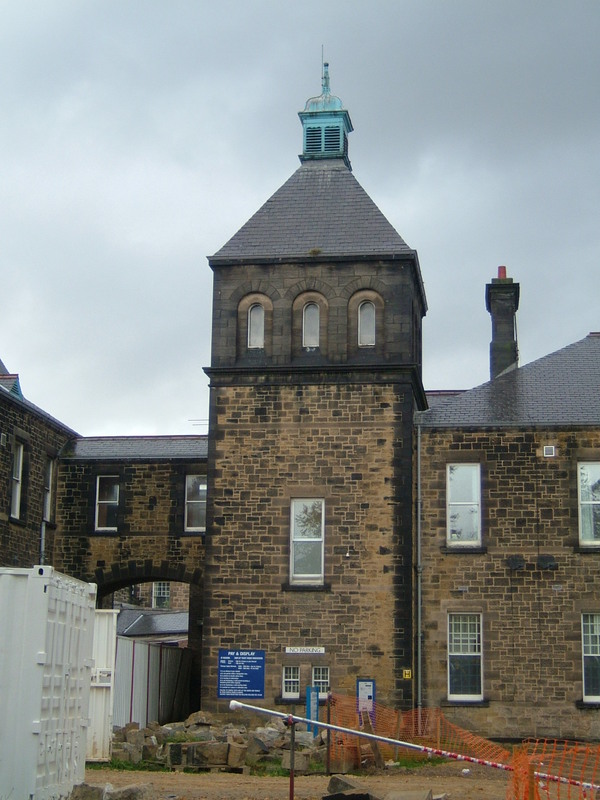 These wards were completed in 1886 and although planned to accommodate 80 inmates each but were already insufficient to meet the demands for capacity within 10 years as the city and it’s resident population grew. 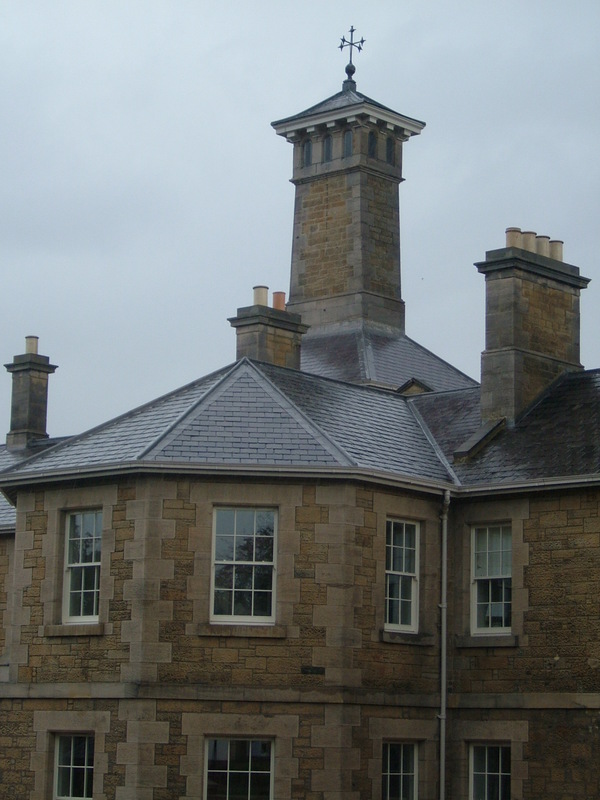 To meet demand a major extension to the asylum was proposed from 1894, with a competition held inviting designs from architectural firms. 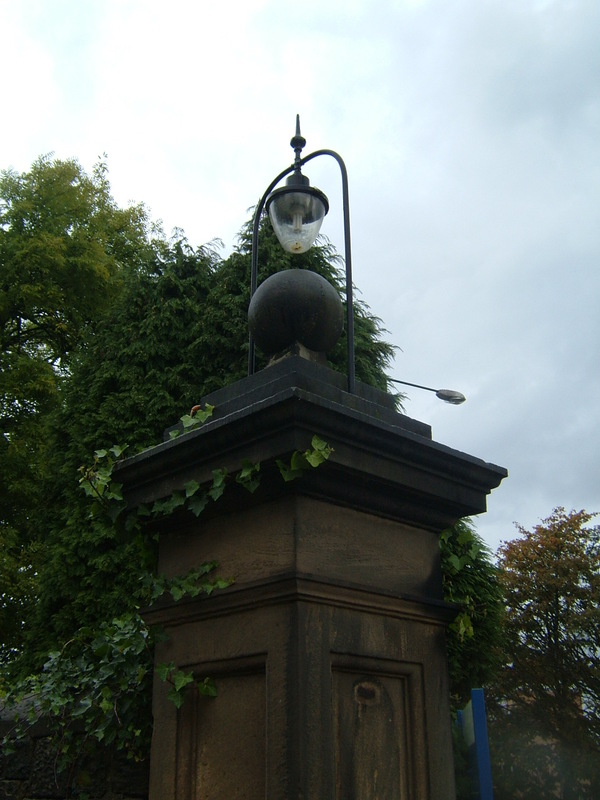 Local architect, John William Dyson whose architectural practice was located in Newcastle upon Tyne, provided the plans chosen in 1896. 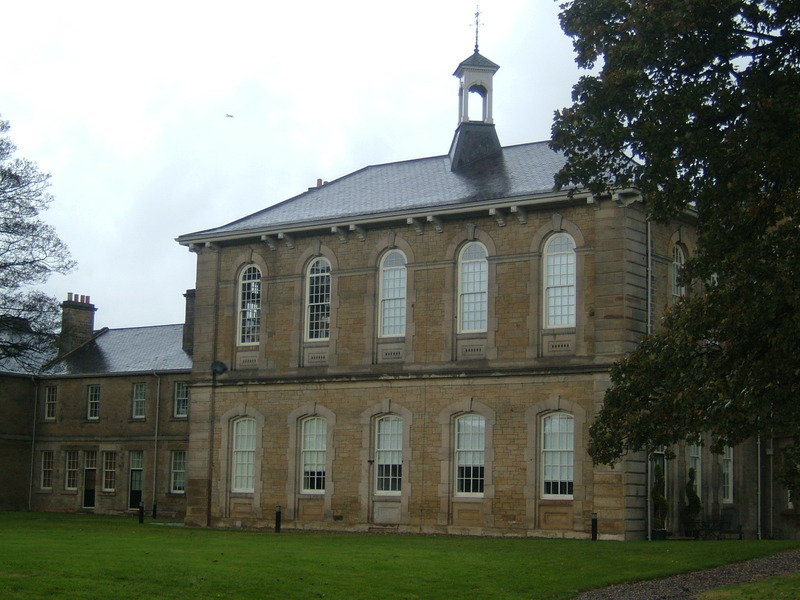 Dyson’s expansion project utilised the broad arrow layout, applied only in part with the new echelon wards forming the male, eastern wing of the complex whilst the original building and Plummer’s additions formed the female, western wing. The two were divided by a central administrative section, comprising a new administrative block, facing to the north with general stores, a bakery, kitchens and recreation hall. Four blocks stood to the south and east of this area accessed via spurs from a lengthy corridor, each block designed to accommodate a specific management class of inmate and each being progressively stepped back to allow good light and ventilation. The new building was anticipated to provide accommodation for an additional 350 inmates. 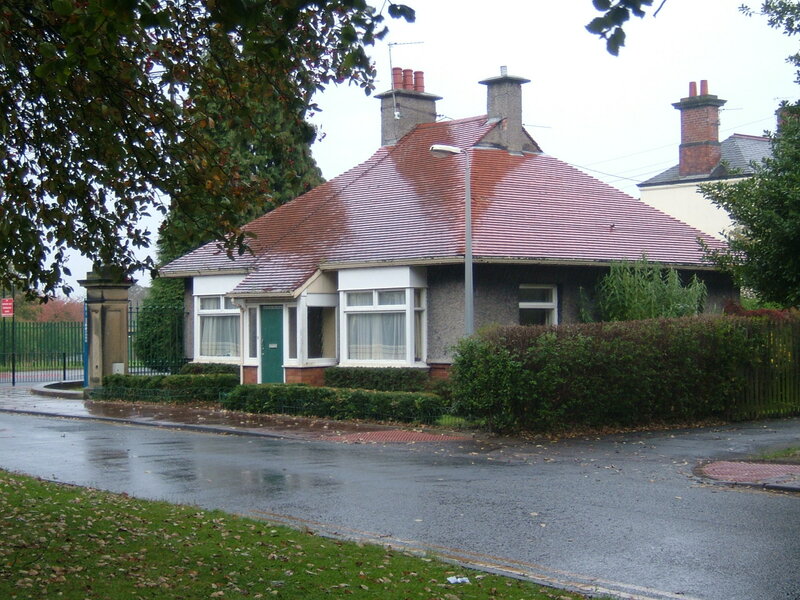 As the new male wing and service areas now blocked the original drive from Salters Road, a new access road and lodge were provided on Jubilee Road to the east with 10 cottages sited just to the south to accommodate married attendant’s. 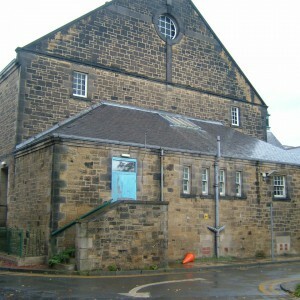 To the west of the site, the laundry was remodeled to accommodate the increased demand that the extra accommodation would place on it. 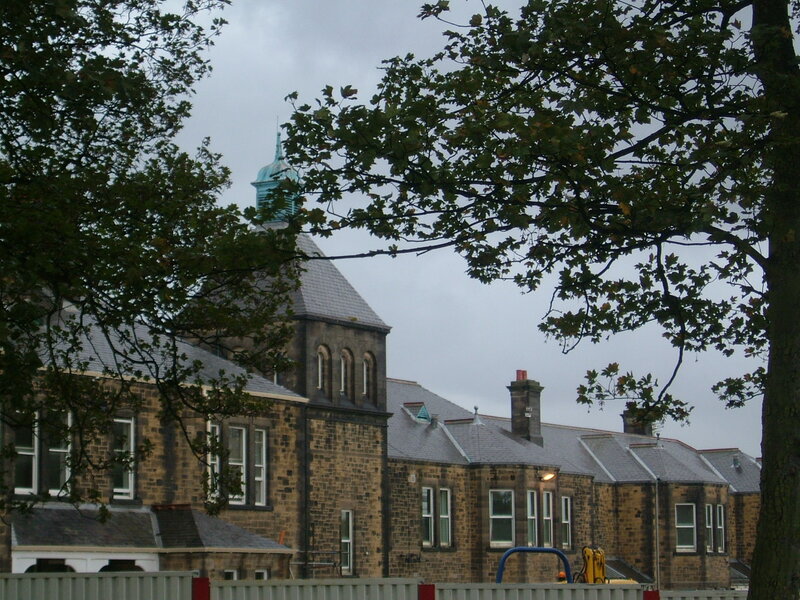 To the north of the original administration block a detached Chapel and isolation hospital were constructed. 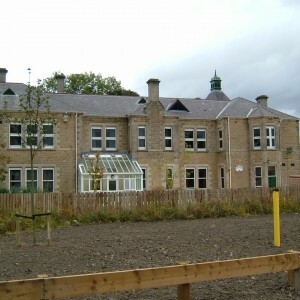 A residence for the Superintendent had been planned to form part of the new complex but was omitted from construction. 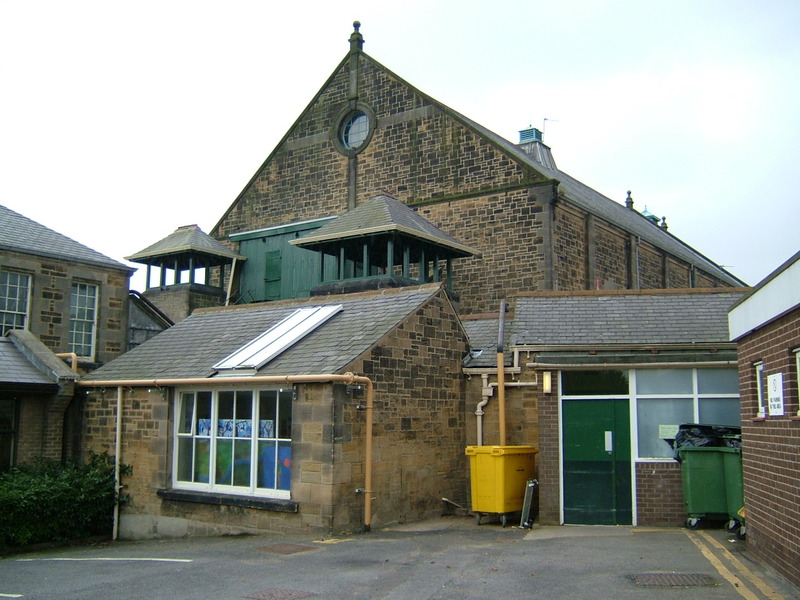 The new buildings were officially opened on 4th July 1900, the recreation hall having opened that May. Dyson was asked to make subsequent additions and alterations, which commenced in 1913, which were subsequently delayed by the Great War. 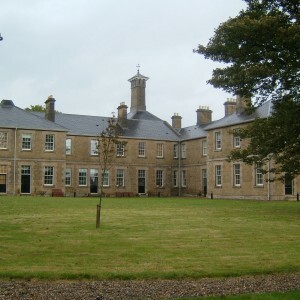 A pair of Villas, a tuberculosis sanatorium and a Nurse’s Home were constructed, the former to the south and close to the boundary with Salters Road, both the latter were to the east of the new administration block on the site of the old male workshops, with both completed around 1915 by which time the asylum had come under control of the Military. 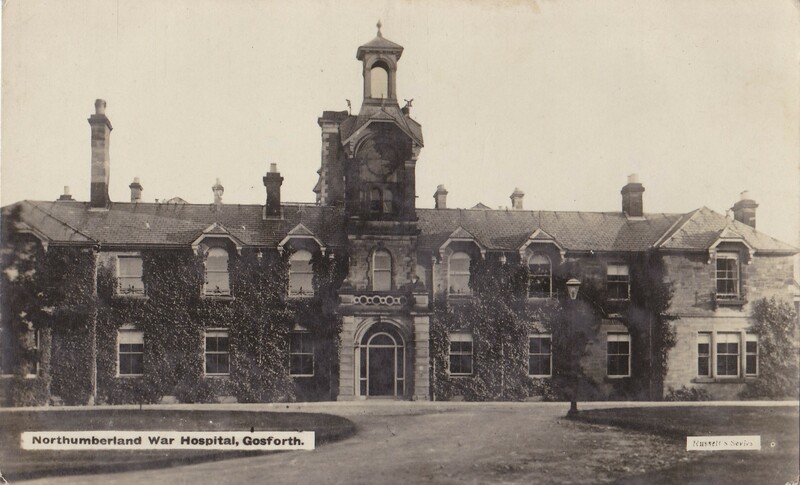 In anticipation of expected casualties exceeding available capacity at military hospitals the county and borough asylums in each area were combined into regional groups of approximately 10 institutions throughout England and Wales. 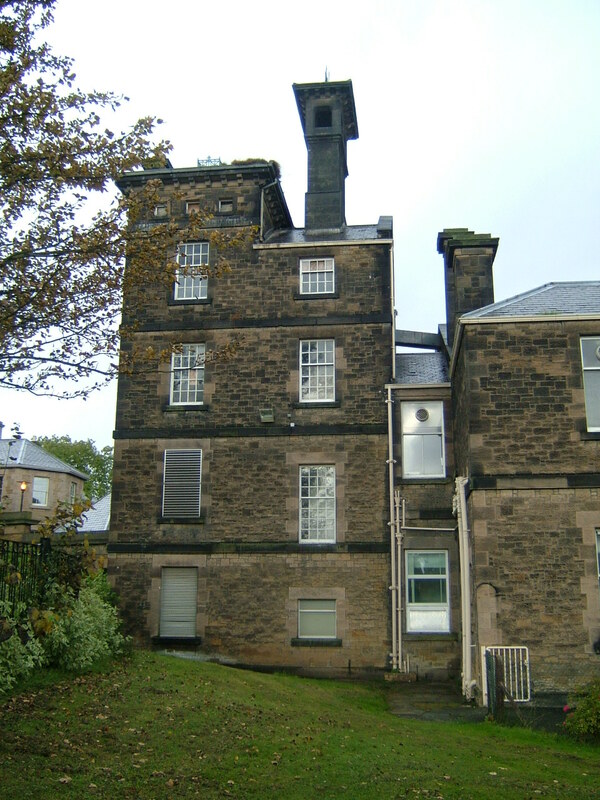 The Newcastle City Asylum formed a constituent of Group 1 along with the County and Borough Asylums of the Cumberland and Westmorland, Northumberland, Gateshead, Sunderland, Co. Durham, the City of York, North Riding of Yorkshire and Middlesbrough authorities. Each area designated a vacating asylum, with the remainder forming receiving asylums to take the inmates displaced. Once empty the vacating asylum was turned over to the military. 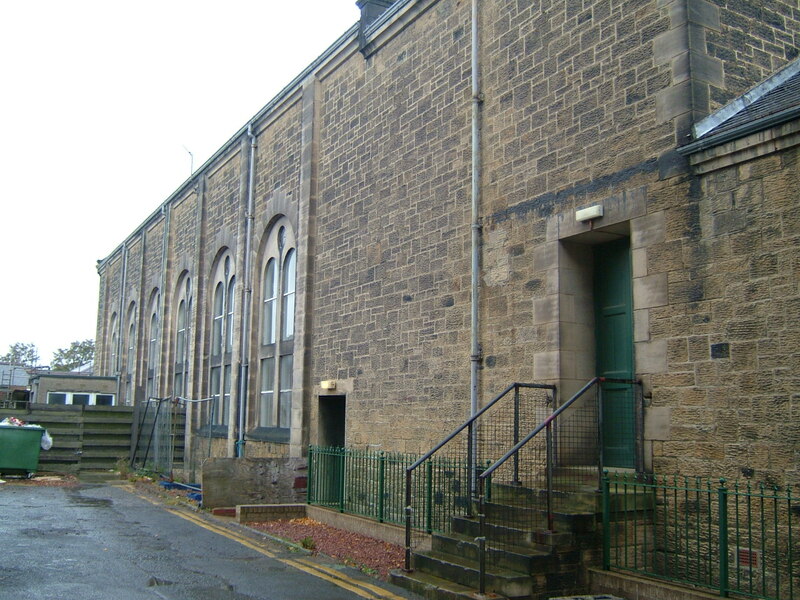 The Newcastle City Asylum was chosen as the vacating asylum for Group 1 and the inmates dispersed around the others in the group, not returning until after the cessation of hostilities and the departure of the military again in February 1921. 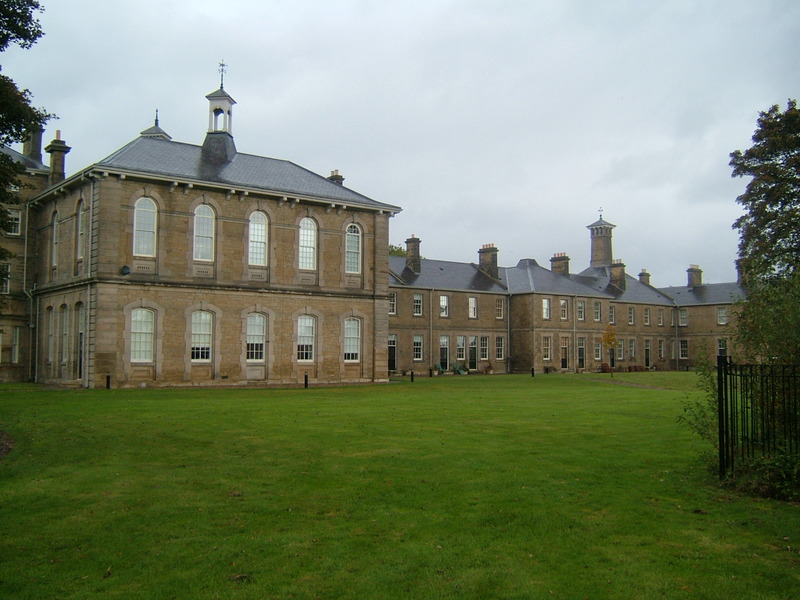 The asylum was designated as the County of Northumberland War Hospital by the military and in addition to the medical and surgical cases accepted, 100 beds were also set aside for mental cases. Patients were received by train and temporary operating theatres and other surgical and medical facilities developed in the buildings. 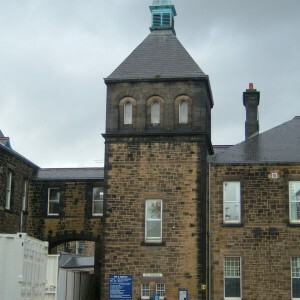 With the return of the civilian population the opportunity was taken to rename the asylum, which became the Newcastle upon Tyne City Mental Hospital. 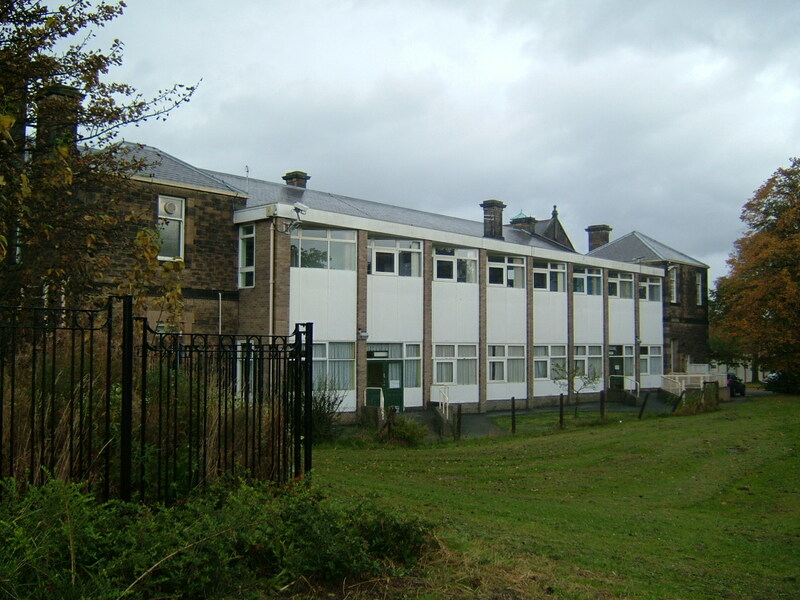 In line with surrounding authorities and the Mental Deficiency Act of 1913 the Newcastle Corporation purchased a site at Shotley Bridge in order to provide a Colony for mentally defective persons. 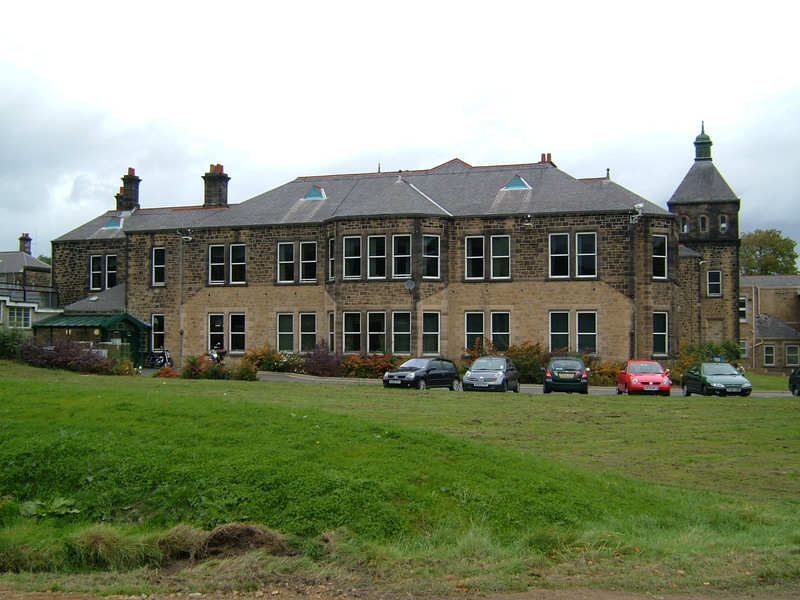 The land formerly comprised of the Whinney House estate, having been developed by the Gateshead Poor Law Guardians as an annexe to their High Teams Workhouse in order to accommodate elderly, infirm and consumptive patients with purpose built pavilion wards and a sanatorium being constructed. 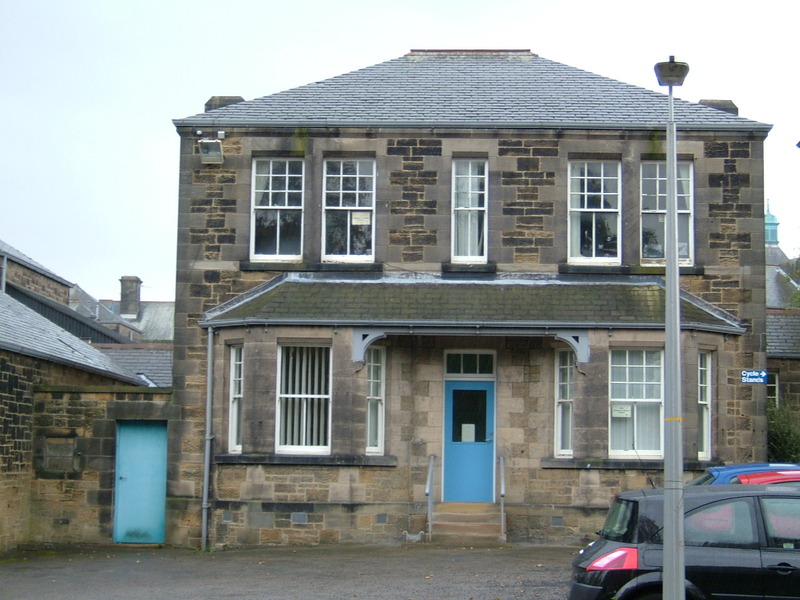 The building served as a institution for wounded ex-servicemen between 1919-1926 when the Newcastle corporation bought the site and adapted the existing buildings. 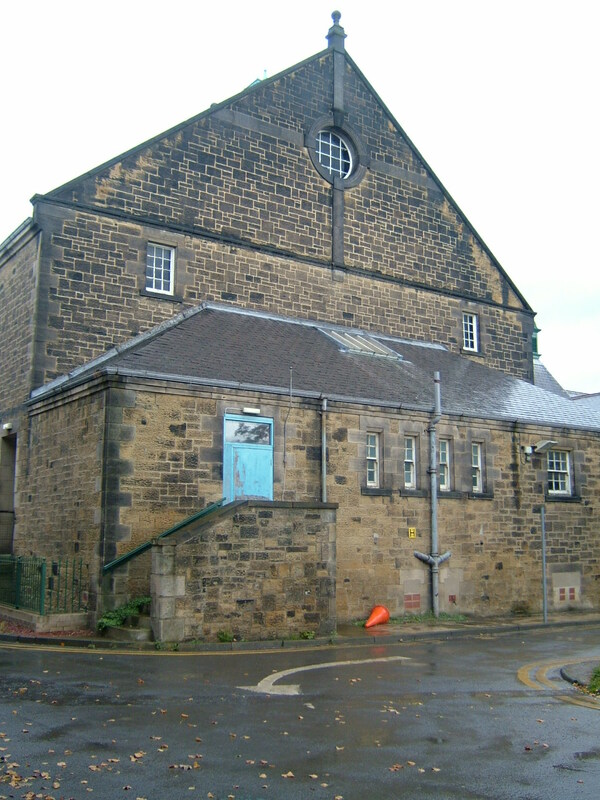 Further additions to Shotley Bridge in this period included a hall, infirmary and water tower. 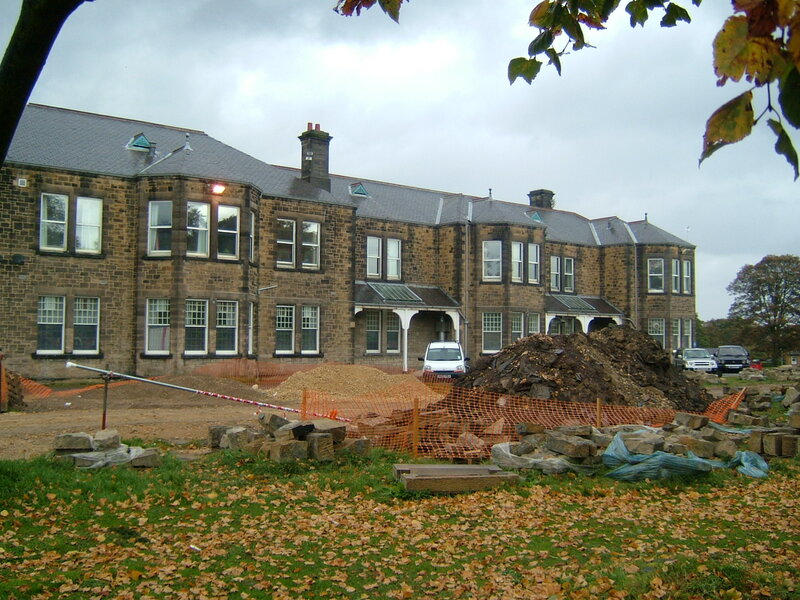 As early as 1931 plans were being developed for additional facilities including a new admissions and treatment complex although delays meant that the development was not commenced until 1939 when it was immediately halted by the onset of World War II. 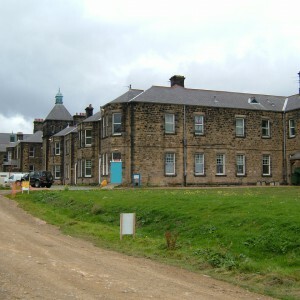 Shotley Bridge Colony was evacuated at the start of World War II to serve as an Emergency Medical Services Hospital, and a hutted complex was added. The population of the hospital was relocated to other mental deficiency colonies in the area, predominantly to St. Andrew’s Colony Morpeth, however the majority was transferred to the Coxlodge. There, they were located the two villas for working patient, North and South villas and eventually some of the men were placed on the male wing of the hospital. The colony was never returned to its intended purpose and was instead retained for general cases whilst those displaced remained in their temporary accommodation. 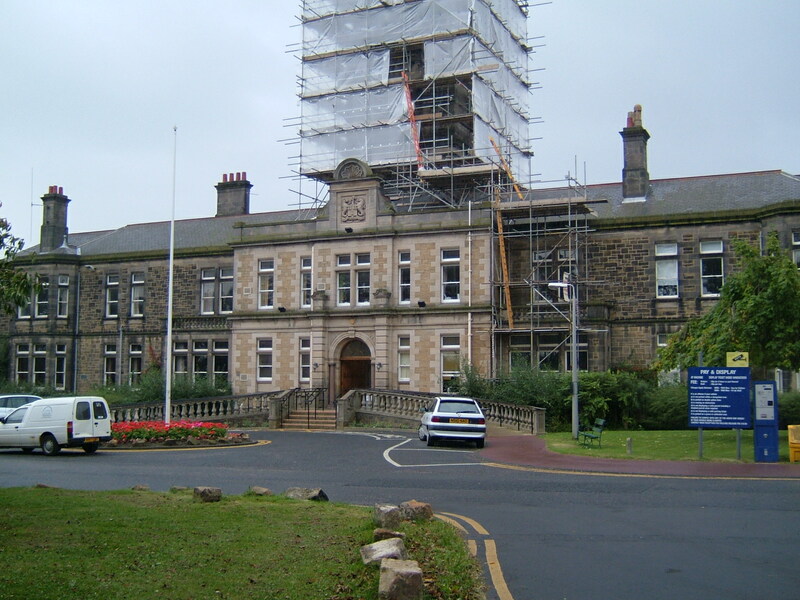 After the War, the creation of the National Health Service meant the transfer of the Newcastle upon Tyne City Mental Hospital to the newly formed Newcastle Regional Hospital Board. The new management resulted in a change of name to the ‘St. Nicholas Hospital’, and by 1950 the creation of a new emergency treatment unit. 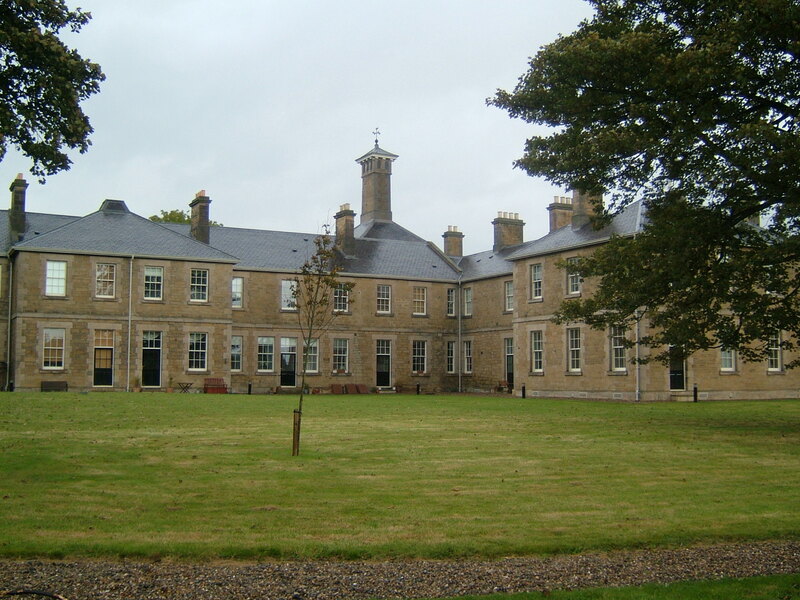 The Newcastle RHB had inherited a number of mental hospitals in various stages of expansion, modernisation and medical progress of which only a few of which had admission hospitals (at Winterton, St. Mary’s and Cherry Knowle) constructed under their previous ownership. The Regional Board set about constructing similar units at the Otterburn house at St. George’s in Morpeth, Carleton Clinic at Garlands as well as the Collingwood Clinic at St. Nicholas. 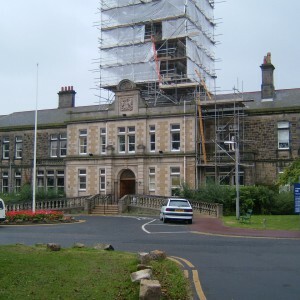 The plan to continue development of the admissions hospital was revived in the 1950’s on the site opposite the main entrance on Jubilee Road and building commenced in 1954. Beds were to be provided for around 120 patients with about 80 being accommodated in the main building, the remainder in two convalescent wards. The admission and convalescent wards were segregated by gender and the central section formed a treatment unit. The new complex was opened officially on 29th September 1956 although patients were not admitted until the following February. These buildings were joined in 1974 by the Collingwood day hospital for patient’s who were able to reside out of the hospitals main campus. 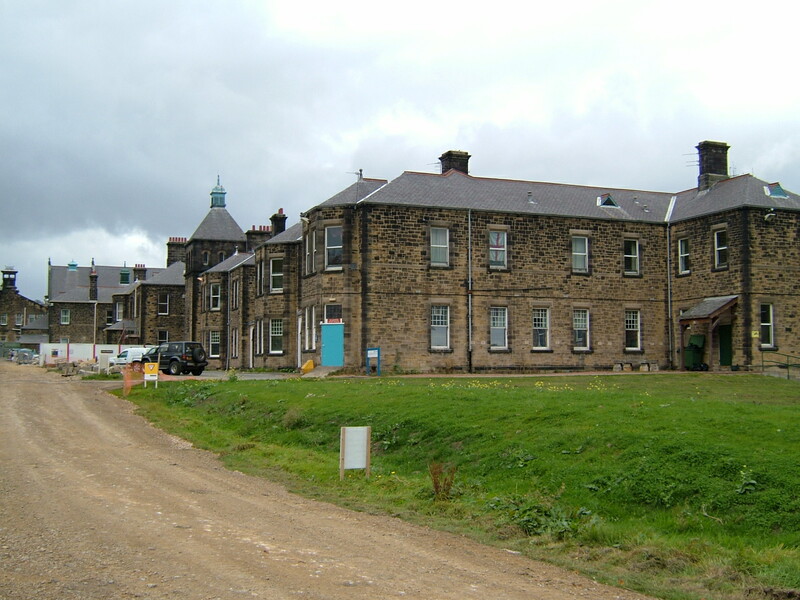 The subnormality patient’s still waiting for rehousing from Shotley Bridge were eventually rehoused in new extensions at Northgate (formerly St. Andrew’s Colony), Prudhoe and Monkton Hospitals. The hospital farm was closed under an edict from the Ministry of Health and the remaining agricultural grounds leased for market garden use. 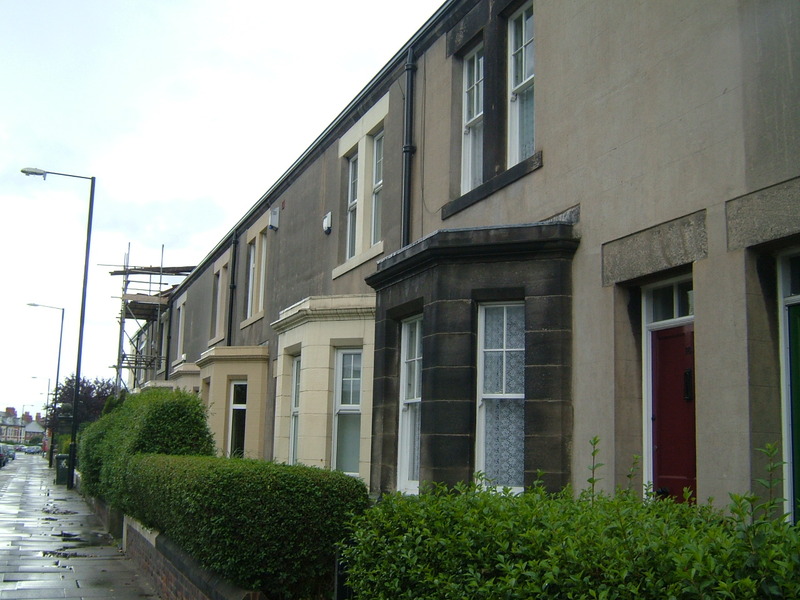 Much of the surrounding area had already been developed and the area between Coxlodge and Gosforth formed a continuously built up area. A further section of the grounds to the north of the main gate and driveway had been developed for industrial use in 1974 for a cook-freeze, fish-processing factory and with a Royal Mail Distribution Centre alongside. 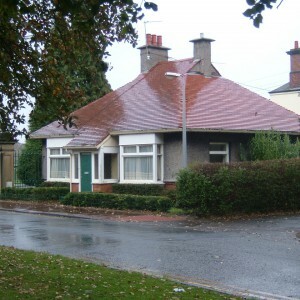 Adjacent land was used subsequently to construct the Welford Day Centre, which was accessed from Jubilee Road. 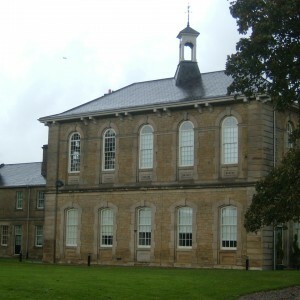 As the Government’s policy of winding down large mental hospitals continued into the 1980’s the former female wing, previously the original asylum was gradually vacated and patients were concentrated into the 1890’s extensions. 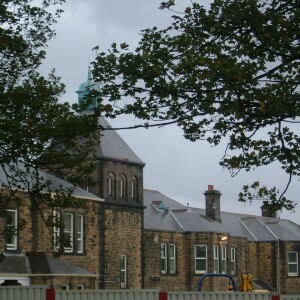 The chapel was destroyed by fire in 1986 and subsequently demolished, part of its’ site being developed in 1994 as the Ashgrove Nursing Home. 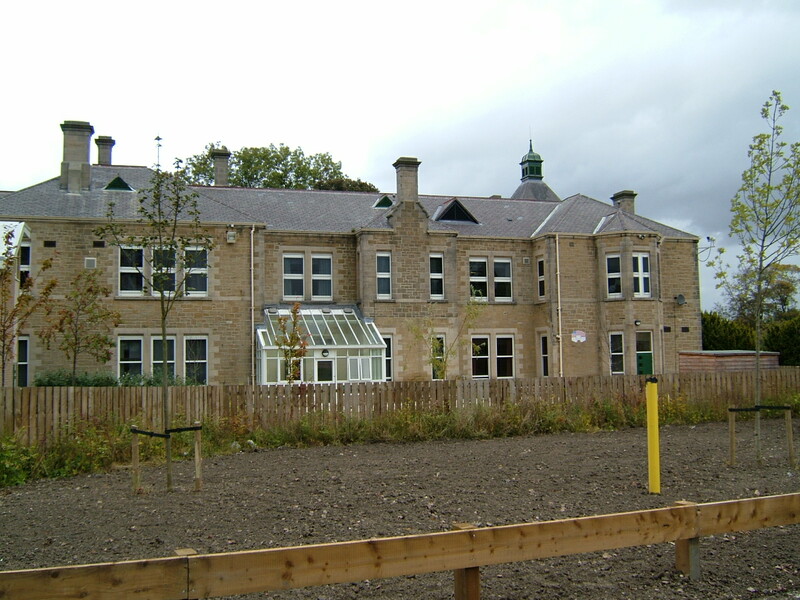 The grounds began to be developed with the construction of a large housing estate, Kingsmere, to the south west of the main buildings. 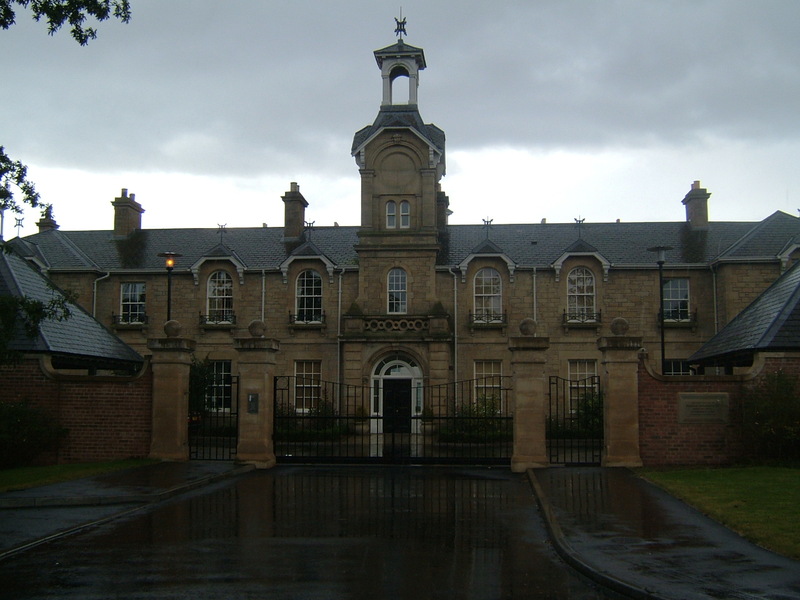 Planning permission followed swiftly for the Baronswood estate in the south east corner and Princes Meadow estate to the west of the original asylum in 1992 and 1994 respectively. The laundry and west pavilion had already been demolished by the health authority in 1990 for what would become the site of the Princes Meadow development. 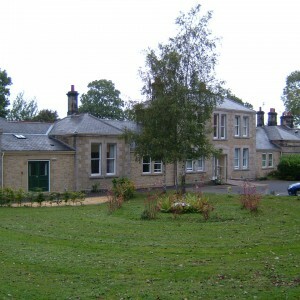 The market garden located to the north of the main building was taken on by the Northumberland Wildlife Trust, who opened a visitor centre in 1993 in the Garden House. 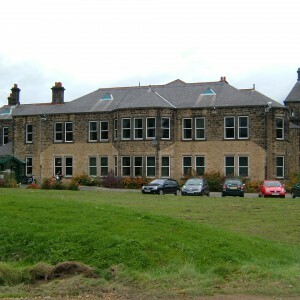 To the east side, sale of the site of the Collingwood Clinic took place in the mid 1990’s resulting in the requirement to develop replacement facilities at Collingwood Court on the main site. 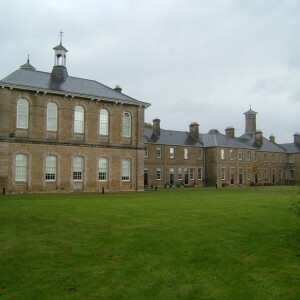 The original asylum was sold in the late 1990’s and the buildings retained and converted as Lanesborough Court. 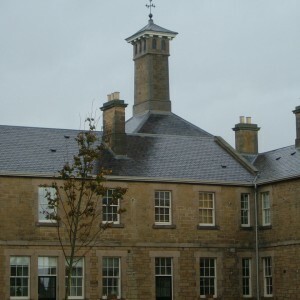 The hospital continues to operate from the refurbished former male wing and a number of newer detached units in the grounds. 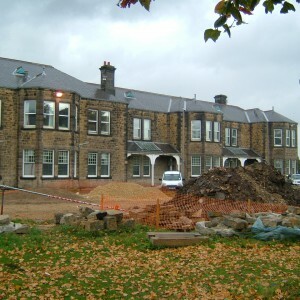 The majority of the hospital grounds south of the main buildings are occupied by housing development excluding the area, which was formerly occupied by the cricket ground. 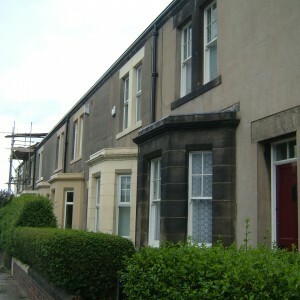 North and South Villas were demolished as part of the Baronswood housing development. 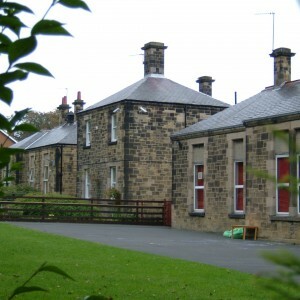 The married attendant’s cottages, lodge and main gate remain on Jubilee Road. 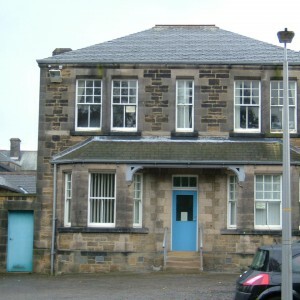 The former fish processing plant has been demolished and the land brought back into health service use with the development of a new medium secure unit, The Bamburgh Clinic alongside which the estate yard survives. The male wing has been modernized with new windows and roofing and has been internally reconfigured. 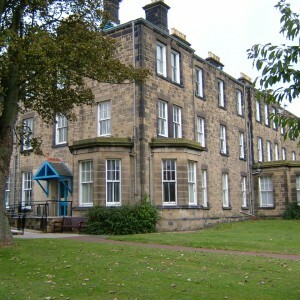 The main hall was listed Grade II, due to its level of decoration and also remains part of the hospital campus. To the west the original asylum and Dodd’s Farm have been refurbished sympathetically as housing although the neighbouring Prince’s Meadow estate has been developed very close to the buildings. The Collingwood Clinic site has been completely demolished and the land and adjacent open areas used to construct a hospice and the Regent House headquarters of the former Northern Rock Bank, now part of Virgin Money.